The Modern Moon Goddess Night. 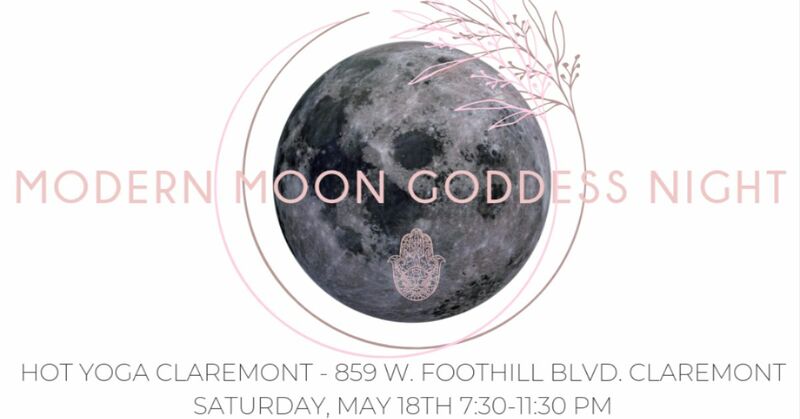 This night is for women to connect and have a night out to themselves, to release the everyday stress and ground themselves through the movement and connection of Meditation, Intention Setting, Belly Dance, and Crystal Amplification. The night of the Flower Moon is a night of magic and creation unlike any other. If you have attended my first two Manifesting Through Intention Workshops, The Intention Setting for 2019 and Honoring your Roots, then this workshop is the next step in your Manifesting process. The Flower Moon is for Springtime Flowers that bloom. It is the moon of abundance and beauty, and also symbolizes healing because as a flower, you grow from a single seed and sprout your flower of abundance. From Honoring your Roots to now your blossom, it is only time to Grow. The time is now and this workshop is intended for that final release and growth in preparation for the Summer Manifesting Through Intention, focused on Moving on UP! We welcome the beautiful Mandy Gatlin to lead us through movement and teach us the ancient traditional dance, Belly Dance. Mandy is an energy worker currently living in Claremont, CA with her husband and two fur kids. She has been studying dance and meditation for the last 15 years. Mandy enjoys all types of movement including Egyptian and Tribal Belly Dance, Hip Hop, Ballet, Yoga and Taiji. She has studied extensively with teachers from around the world and currently teaches the Belly Dance class at Hot Yoga Claremont. Mandy will be showing you Introductory Belly Dance movement and technique for women of all ages. Please note: This is not a Hot Yoga class and no Heat will be used during the Belly Dance Session. The harmonic sounds of crystal bowls and gongs will vibrate through your entire body as we journey in the realm of sound and Goddess Vibes. Lead by Riki Wolf and Monica Muniz, both are experienced instructors at Hot Yoga Claremont as well as years of knowledge of sound bowl healing. Enjoy the gentle sounds and vibration of the crystal sound bowls and gongs to release stress, promote relaxation, renewal, and expansion to help open up the mind, body and soul connection. Led by, Ronnie. She can truly stand behind the power of Manifesting and most of all standing behind her brand, Manifesting Through Intention. In 2019, She has coordinated four successful sell-out workshops that have captivated a community of Manifestors. Together, on the night of the Flower Moon, we will join in a circle to join hands, raise our vibration and set our Intention for the flower that is blossoming. From Roots to Blossom, we will unite to set our Intention for the Flower Moon. Have you felt lost? Have you felt confused on Manifesting? Then we encourage you to come. Ronnie will walk you through an Intention Setting ceremony paired with Sacred Sage to cleanse all around you and prepare you for the shedding of old energy to Harvest what is coming. She will use Essential Oils to open your Heart Chakra creating a space of openness and peace. Your ticket will include one Crystal Quartz for Amplification. If you have your very own crystal collection, you are encouraged to bring them with you to set your intentions. **Belly Dance Hip Scarves will be available for sale at check-in for $10 each. Although these are not required, We will ask that you select to purchase this ahead of time at checkout and add it to your cart under this listing. Please select your General Admission Ticket + Add a Belly Dance Scarf to secure your scarf ahead of time. Scarves are all one size fits all. **Please arrive by 7:00 pm for check-in as we will begin promptly at 7:30 pm. Please arrive in comfortable clothing. You will be asked to remove your shoes during check-in. **Please bring a yoga mat and or blanket for the Moon Meditation. This event is non-refundable and FINAL SALE. Refunds will not be given.